At six o’clock Friday night my principal walked in my classroom to return Brown Girl Dreaming. “Jackie Woodson speaks to me! How did I not know about her! ?” she gushed. We go on to talk about the book and about all the good that happened this week. I’m so fortunate to be in a school with passionate colleagues that are energized by books and education. After that conversation, more celebrations for the week were clear. This week students reached the end of a five-week Genius Hour/Passion Project Cycle. My only constraint in this work is that students stay within the week’s theme. We started the year with an hour once a week. Due to scheduling problems, the time started to move from an hour once a week to shorter segments across the whole week. Now genius “time” happens in 10 to 15 minutes segments at the end of each day. Many stay to continue working during recess or after school so the time stretches out even longer. At this point, with this group of students, I like the change. They need to get to work quickly and they don’t loose touch with their work. Students love genius time. They can’t wait. As a teacher you are a consultant, an observer, and a supporter of their learning. Students work in teams of their own creation, on work they direct, completely. They find like minded souls and talk. During all the noise you might wonder: is this time well spent? After this week of presentations, I am sold on the power of this work. Students created their own questions, they read content they found, they wrote and planned their presentations. They clearly demonstrated learning and more importantly the process of learning. The endangered sea animal group did extensive work that will continue though the next cycle. They plan to find ways to raise funds to help . There was a lively debate between two students on who was the better soccer player Ronaldo or Messi. They went back and forth with reasons and evidence and at the end they turned to the students saying you decide! I learned a lot about the history of basketball. Who knew women played in 1892. Less than a year after it was invented! 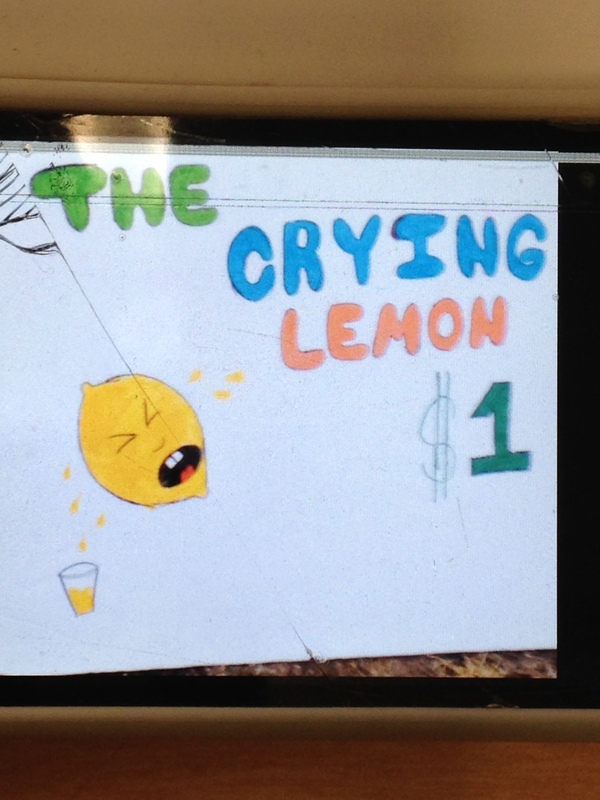 Three students inspired by Alex’s Lemonade Stand raised $60 over President’s Day weekend for kids with cancer. This week I celebrate students’ learning. I celebrate the process and their agency. I celebrate their abilities. I celebrate genius time that allows students to find and use their genius. Thanks to Ruth Ayers Saturday link up that provides the wonderful practice of celebrating the week! Read more celebrations here. It’s great that you were able to work around the scheduling issue and the students could continue with their projects. The result was obviously interesting for both students and you. I just stumbled upon the concept of “Genius Hour” last week and I love it! Thanks for sharing your students’ projects. They look wonderful and clearly you have much to celebrate! These pieces of work are lovely. Thanks for sharing them. It’s inspiring to see. A lovely week to celebrate! What fabulous learning in your classroom! You must be so proud as their fabulous teacher! 🙂 I bet if I took a poll of the teachers I work with, not many would know who Woodson is! Have a great weekend! Thank you for sharing about your Genius Hour. I did some work with this last year in my middle school ELA classes and I really loved the energy. I have been struggling with trying to figure out how to build it into my schedule this year with my 4th graders. I hadn’t thought of the idea of breaking it down into a 5-week cycle like you have. I LOVE that idea. So much learning! Have a great week! Our middle schools in our district have Genius Hour. Loved hearing your recount. Sounds incredible!! You hit the nail on the head when you said you are fortunate to be in a school with passionate colleagues that are energized by books and education. Cherish that for sure! So glad that this is working out, even with the change in schedule, Julieanne. 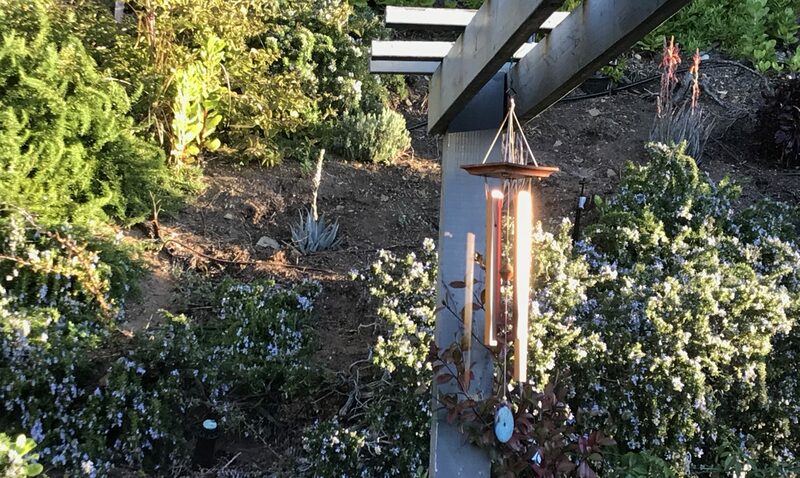 Love seeing pictures of the work, too. Your students are awesome! 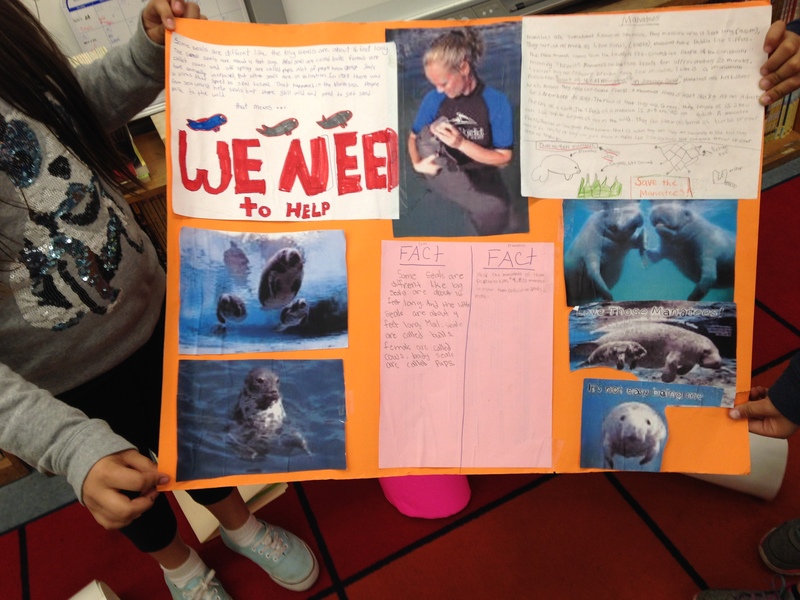 Thanks for sharing this – love the work the students did around the Endangered animals – we are going to be learning more about this after spring break and I want students to have a lot of choice in how they want to share their learning. I will come back to this post as a sample. I love seeing the work that students are so passionate about. We wrote about similar things this week. You articulate the positives of student driven learning so clearly. I am sold too. And I love that you shared a book with your principal and she loved it. So true- being surrounded by passionate colleagues who are readers and learners is so energizing. This is the year your students will remember for the rest of their lives. The year they got to pick something they wanted to learn about and make a difference in the world. I want to come visit your class to see the magic happening. Awesome! Your students are getting to exercise so many skills with projects like this. It sounds like a great opportunity for them. Thank you for writing this post. I’ve really struggled trying to implement Genius Hour and your post helped me rethink how to make this work. Your graphic is also very helpful on the Genius Hour cycle. Your student projects are great. Thank you so much for sharing. Julieanne, i hear you excitement about your students’ learning. Developing the capabilities of students is a joy ot behold.